Our ambition as advocates is to be your partner in helping you to make the right choices, bring your plans to fruition and overcome your legal difficulties. As advocates, we must comply with professional standards of training and ethics and owe you a guarantee of professional confidentiality which is of particular importance to us. The choice of an advocate is above all a question of confidence. 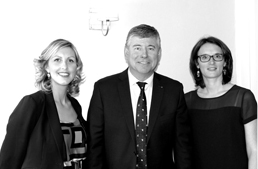 This firm of advocates was established in 1973 in the heart of the Côte d’Opale. Building on its experience, the firm has acquired the know-how necessary to support our clients, to be attentive to their requirements and to guide them in making the most appropriate choices according to their circumstances. The law requires specialists and we offer you expert advice and the fighting spirit to defend your interests where necessary. Our expertise in fields as varied as labour law, company and commercial law, international law and family law is why clients refer their life and business choices to us. We believe the most effective defence is always provided by those who know you best.